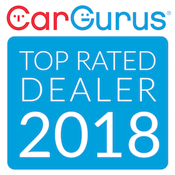 It is not just about selling vehicles, it's about helping our customers find the best used or new vehicle for their needs, at a price they can afford. Our goal is to personally help our customers buy, sell and lease vehicles. With a combined 60 years of experience in the automotive field, we will help you throughout the whole process and you will never have to leave your home or office. Let us shop around for you. Let us work for you. Come join the IML family and see the difference in what we can do for you rather than the typical dealership. Welcome to the future of buying, selling and leasing vehicles. Thank you for the time & always drive safe!